I’ve got Linux in my pocket too! Yeeeeeeeeeeah! 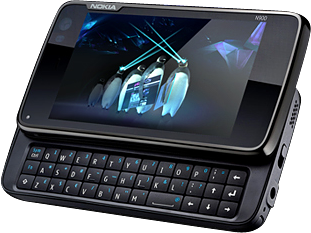 I am now yet another proud Nokia N900 owner! This device runs Linux on an ARM Cortex 600MHz CPU, 1GB RAM and 32GB HDD, and it is more a portable computer than a mobile phone, thanks to its 3.5” touch screen (800×480 resolution) and the embedded keyboard. Right now, my N900 is still charging (minimum 6 hours initial charge I was told!) so I haven’t had the chance to play with it yet, but I plan to explore it tomorrow evening. Stay tuned! dimitris kalamaras » free space is important!